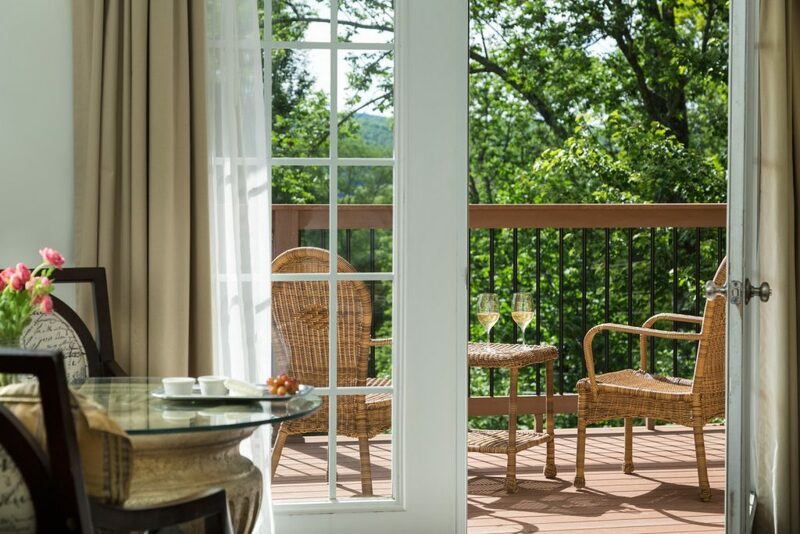 Located in the heart of the Poconos Mountains, the French Manor Inn & Spa is the ideal destination for a hiking adventure. Check out the nearby Poconos hiking trails to explore everything from rugged backcountry to rolling farms. The natural beauty of the region comes complete with waterfalls, lush forests, and lakeside beaches. See everything the area has to offer when you visit this gorgeous Pennsylvania region with your sweetheart. Be sure to download our free Poconos Vacation Guide to see all of the Poconos hiking trails and more! 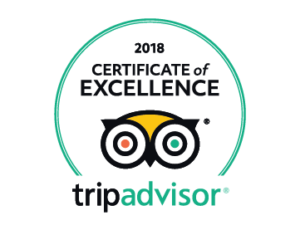 It will give you access to all of our favorite things to do in the Poconos, including the best activities, attractions, dining, and events in the area. Whether you’re planning a romantic getaway, a girl’s trip, or another relaxing vacation, our helpful brochure will help cut hours off of your research. Take advantage of this amazing trip planning resource and get your guide today. 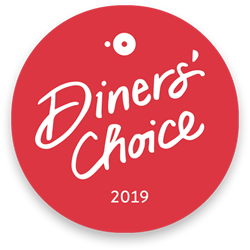 It’s yours in just a few clicks! You’ll love spending time in the mountains on these great Poconos hiking trails! 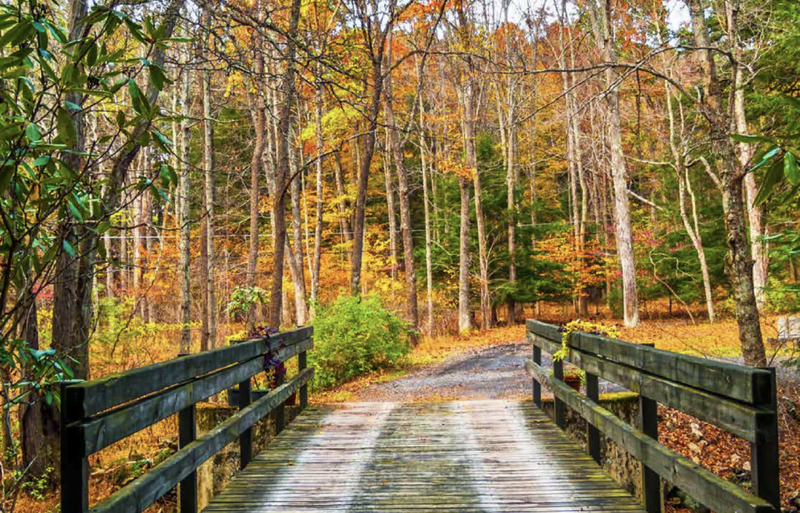 Stretching all the way from Georgia to Maine, this historic trail is a must-see when planning a Poconos hiking trip. More than 45 miles of the Appalachian Trail run through the Poconos region. Sections of the Appalachian Trail in the Poconos can be a little strenuous for hikers, but scenic vistas along the way make it worth the effort! Distance from The French Manor: 50 minutes from the Delaware Water Gap, but there are many places to get on the trail in southern PA. 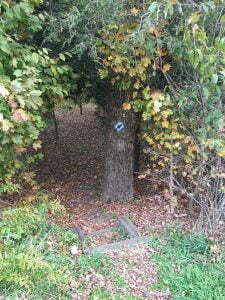 The start of our Huckleberry Mountain hiking trail. The gorgeous view from Huckleberry Mountain! 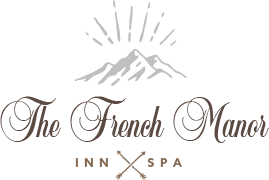 Hike Over to the French Manor Inn & Spa! 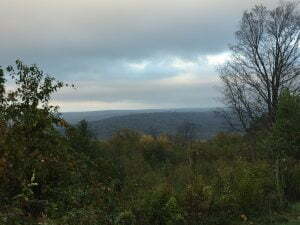 After a wonderful day enjoying one of these Poconos hiking trails, head back to our cozy bed and breakfast to unwind! Let us pamper you with a rejuvenating spa treatment that will relax your sore muscles, then enjoy a restful night’s sleep in one of our beautiful rooms or suites. The next morning, join us for a hearty breakfast and get ready for another wonderful Poconos hiking adventure. We can’t wait to hear about where the trails take you! For more information on hiking, backpacking, and camping on the best Poconos trails, download our free vacation guide.